From twenty-five of Spain's and the US's leading chefs, from Manolo de la Osa to Norman van Aken, Spain and the World Table presents 125 accessible recipes from the CIA's "Worlds of Flavor" International Conference and Festival. 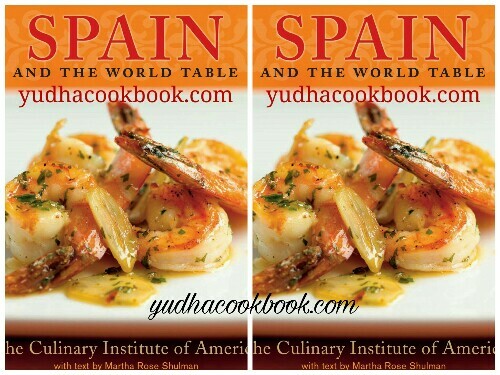 In 2006, the Culinary Institute of America gathered chefs from Spain and around the world to attend a conference on Spanish cuisine and its impact on the world table. This splendid book brings the conference to life with vivid photos and exciting recipes, beautifully written by Shulman ( Mediterranean Harvest), covering Spain's regions, the history and importance of different courses and the high-quality ingredients used in Spanish cooking, from wine and sherry to potatoes and rice. The recipes, by chefs from Spain, Japan, Peru and the U.S., are a perfect mix of ultra-traditional Spanish dishes like Tortilla Española and Paella Valenciana, updated classics such as a gorgeous Beet and Cherry Gazpacho, and international dishes inflected with Spanish flair, such as Sushi Paella. Some of the recipes use fairly advanced techniques, and many ingredients are not widely available, though some substitutions are suggested and, along with a glossary, a helpful list of sources is provided. But with Shulman's excellent insights into Spanish products and ways of preparation, even the more difficult recipes feel accessible.